UK producer Configa is back with a bang as he teams up with NYC emcee HaStyle for this dope EP to kick the year off! On this early offering from the duo I’m sure this EP will prove to be a stepping stone to further success in 2015. However, (Getting back on topic!!) since a chance meeting Between Configa and HaS a few years ago things clicked for the duo and for our musical pleasure a match was made in heaven! I was lucky enough to hear the opening joint of the EP near to a year ago, so you can appreciate I’ve been waiting a while for this release and man it doesn’t disappoint! Configa lays down the dope soundscape of soul filled samples, head nodding, neck snapping beats as HaStyle laces the musical canvas with his lyricism. HaS is not an emcee to be slept on, he has a great delivery and flow accompanied by the ability to deliver gritty rhymes and unlike a lot of emcees he is able to tell a story with his narrative driven raps. Straight from pressing play this EP bumps, with the opening track ‘CB4H’ with HaStyle stating “We’re attacking the mainstream from the underground” before going on a lyrical onslaught. 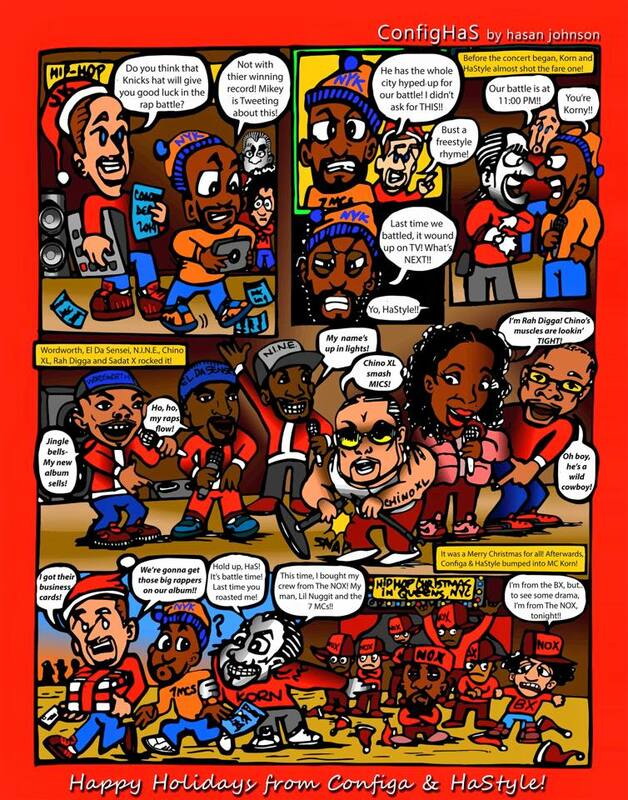 Followed quickly by the heavy track ‘Ghetto USA’, featuring Rashan, which tells the gritty truths of growing up in the ghetto without glorifying it over Configa’s dope production and well chosen sample for the hook. The EP moves swiftly on with HaStyle displaying his storytelling abilities over Configa’s smooth production for the joint ‘Love Lost’ another track that I really dig. There really is not a joint on this 9 track EP worth skipping. 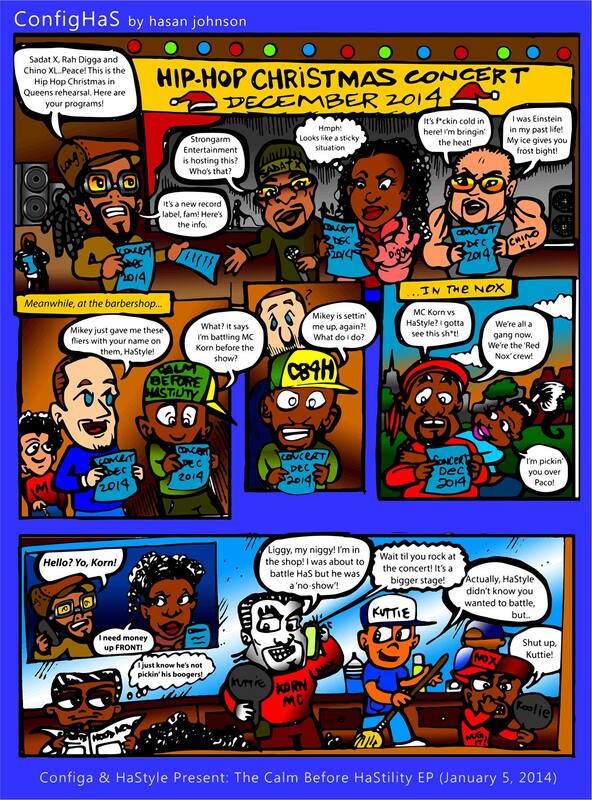 Whether it be the track ‘R.I.P’ paying homage to all the greats, or HaStyle calling out fellow Barbers from his other profession with the track ‘Razor Bumps’ which anyone who’s had a fade can relate to over a reggae inspired beat from Configa. ‘7MCs’ is another favourite and the conceptial track ‘Lost in Space’ reminds me a little of something Kool Keith may have come up with which is a huge compliment to HaStyle. Let’s be real here there just isn’t a weak joint on this EP! What I love most about this project is the time and love that has obviously gone in to it. 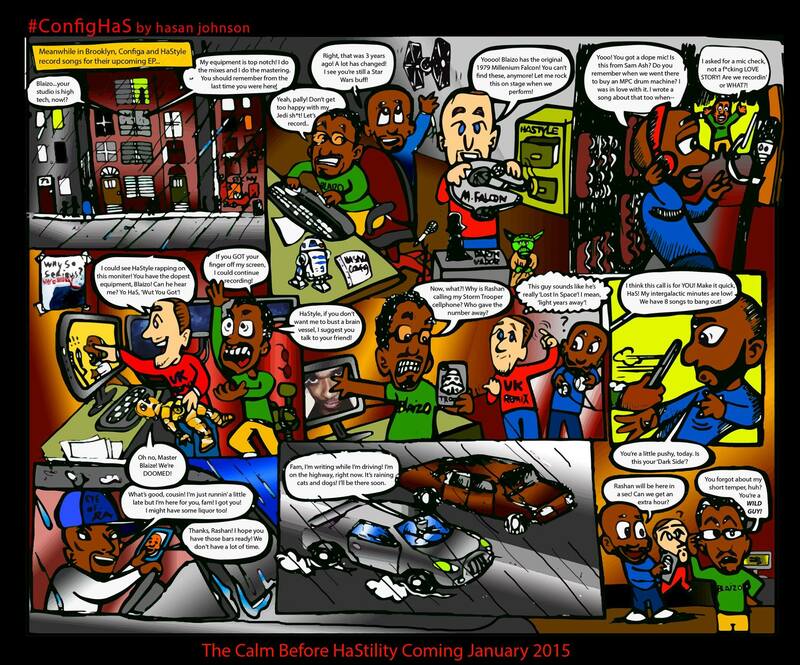 To many submissions we receive here at HHLAT, are various emcees working with numerous producers dropping material week after week, while I applaud their workrate, for me you can’t beat a producer/emcee collaboration where they work closely together to produce a piece of art, which is what we have with Configa and HaStyle Present The Calm Before Hastility. 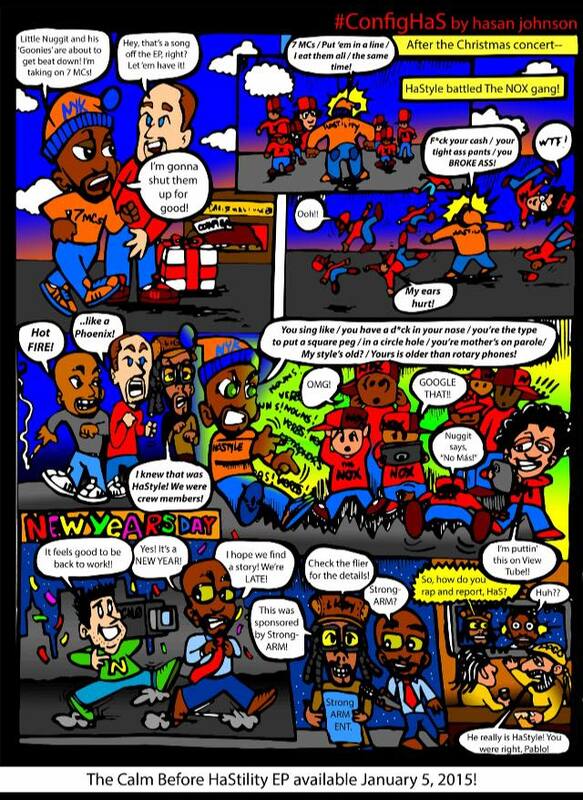 As an example of the love put into the project, HaStyle (with yet more creativity on display) has been putting together a comic series depicting the adventures of the duo in the build up to the EP release, I’ve collected a few for you to view below. 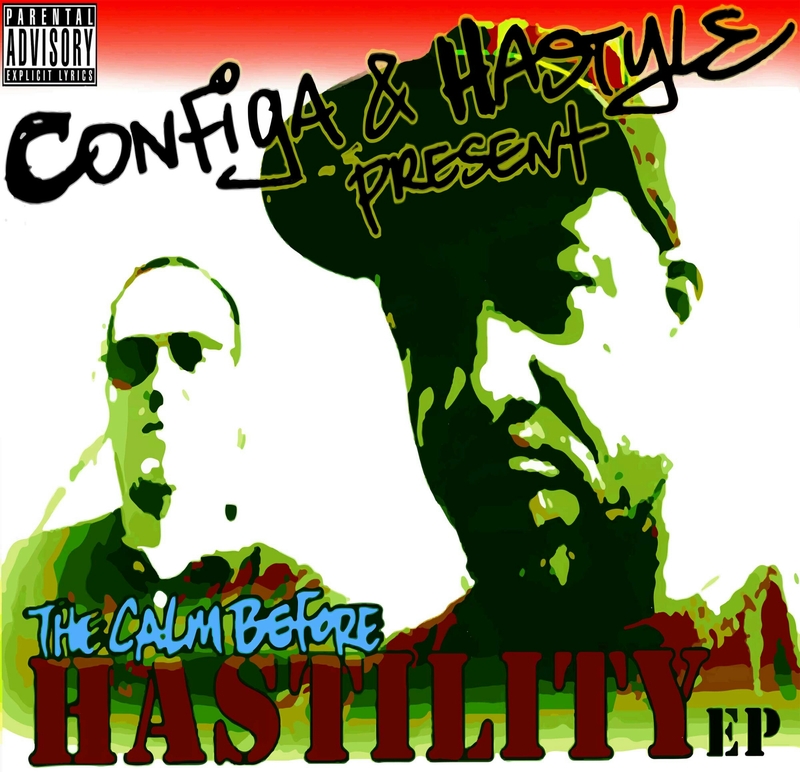 SO, If it’s that real underground Hip Hop that sound you are after then Configa and HaStyle Present The Calm Before Hastility EP is just for you! Yeah YOU!!! The EP is now available for pre order and will be available to download from 5th January 2015! Remember this is just the beginning, with a full LP already recorded and expected for release later in the year expect BIG things from Configa and HaStyle in the coming months. With the artwork from HaS and the quality of the music I hope this will come with some kind of physical release either CD or Limited Edition Vinyl run or even Retro Cassettes are proving popular again. Let’s hope so!